Just about one hour north of Brisbane is Mooloolaba. 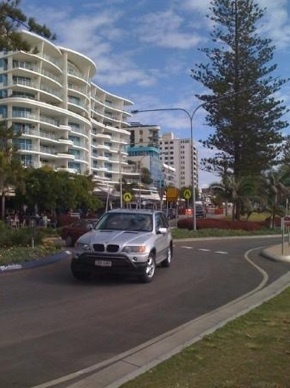 As you drive along the Esplanade of Mooloolaba the first thing you notice is the relaxed atmosphere…. Groups of people gather in trendy outdoor cafes, tourists and locals wander along the streets stopping at chic boutiques and local art galleries. The feeling is “holiday mode” as you soak up the sea air and enjoy the moment. 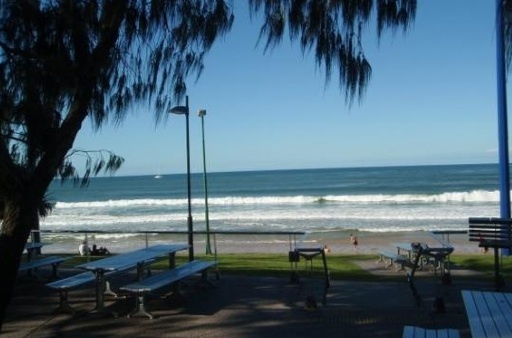 Across the road is the beautiful surf beach of Mooloolaba and the sheltered parklands and picnic areas that run alongside. This is the perfect family spot and it is evident that many families are taking advantage of it with barbeques and picnics always in abundance. If you get the chance to drive down to the port you will find plenty of commercial fishing boats that often have their catch available to buy. 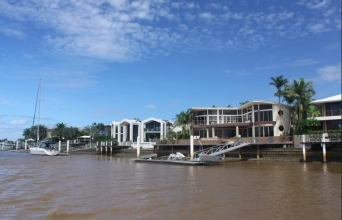 There is also a world class marina and lots of great restaurants. 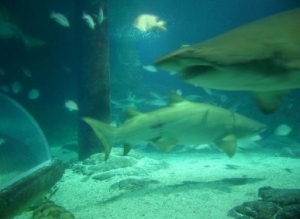 Adjacent to the harbor is a unique little shopping area where you will find one of Mooloolaba’s most popular attractions “Underwater World” Here you can dive with the sharks or just enjoy looking at the many amazing underwater creatures. This is the one I would recommend! 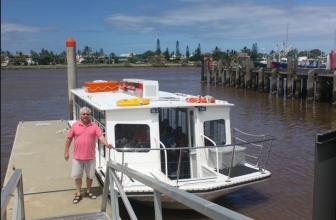 No matter where you are holidaying on the Sunshine Coast, if you are looking for a sensational and economical scenic cruise along the waterways with a mouth-watering seafood lunch, you will not better the offerings from the friendly team at Coastal Cruises in Mooloolaba. Sixteen travellers joined owner Darren Smith for the lunch cruise just a few days after a big storm in March 2012, and we were not disappointed. To start with, the 35-foot “Pacific Star” is fully enclosed and has been refurbished to provide a very spacious but intimate and comfortable layout where everyone could see everything, unlike many others where you have to fight for a spot or sit in rows of 10 or more. Secondly, despite some windy weather, it was extremely comfortable – a very smooth ride with virtually no bouncing or rolling, which means it would be rare for anyone to get seasick. The new design meant there was plenty of room to spread out and converse with others on our table or nearby. The cruise around the waterways introduced everyone to the history of local development; views of the multi-million dollar homes, yachts and motor cruisers; a great look at the large commercial fishing fleet which ships its catch around the world; and some delightful, fun-filled commentary and banter about the area and life in general. 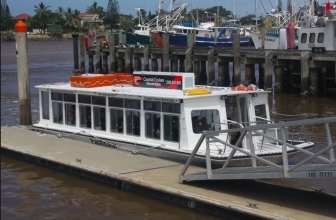 To top it all off, the ticket-price includes fresh lunch from the Mooloolaba Fish Markets, with a choice of fresh prawns, calamari, or fish and chips (a non-seafood option was also available). 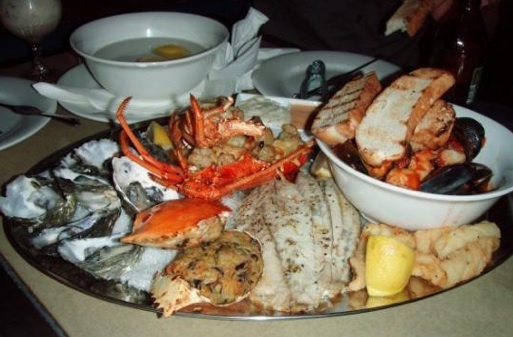 We shared a plate of tender, freshly cooked calamari and freshly caught and cooked medium king prawns (I also scoffed half a dozen oysters) and everything was so fresh and delicious – my mouth is still salivating as I write. Feedback from everyone else was that their food was also outstanding. Another impressive aspect of the cruise was the surprisingly well equipped bar, which had good quality wines at very reasonable prices. Around the world we have often been disappointed where the only choices have been low-grade wines at above average prices, or good wines at very expensive prices. The Telanga Ridge Merlot was excellent and cheaper than you would buy in many licensed restaurants. 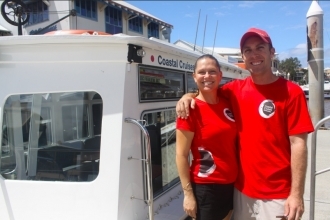 Coastal Cruises in Mooloolaba are easy to find at the main wharf opposite Underwater World – there are several different cruise options there so make sure you look them up at http://www.cruisemooloolaba.com.au and call Darren before you book. The team also do a sunset cruise, which we hear is amazing and we will probably go back to enjoy this cruise one day. They also do special outings for groups up to 30 guests which would be perfect for social club functions. 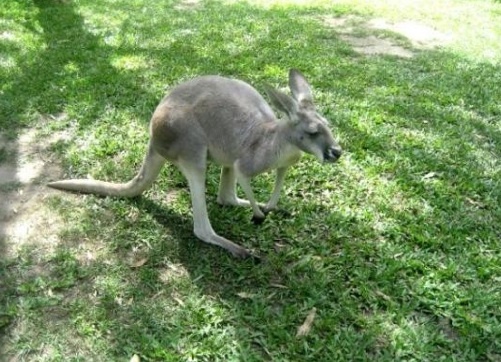 Just a short drive from Mooloolaba is the world famous Australia Zoo. 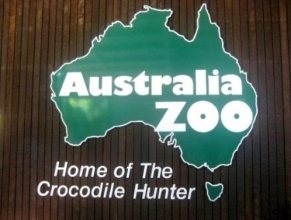 The home of the late Steve Irwin, today Australia Zoo is one of the most popular attractions on the Sunshine Coast. 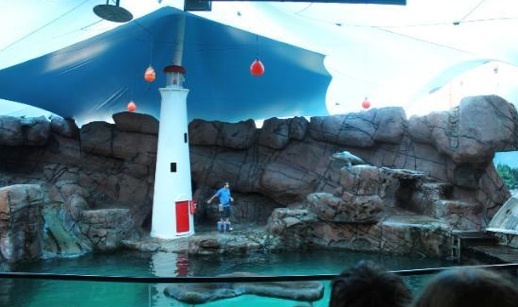 Get up close to Kangaroos, Koalas and other Australian animals as well as a wide range of other animals including the Elephants. Steve Irwin was known as the Crocodile Hunter and his legacy lives on as you watch the crocodile shows that will take your breathe away. A definite recommendation to any international guests. Send us your story, review or story about a holiday destination or experience on the Sunshine Coast Queensland.